I simply can’t deny the allure of a beautiful child’s blanket or wrap – and have many a drawer stuffed full of them to attest to it. 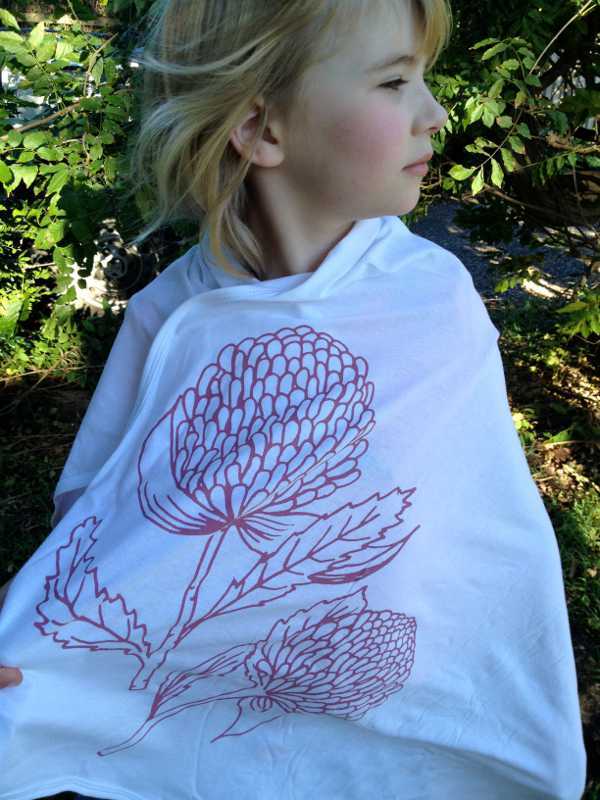 This new company has launched its own gorgeous line, featuring Australian flora and fauna. A brand new babe in a gorgeous wrap – ah, it just doesn’t get any sweeter. 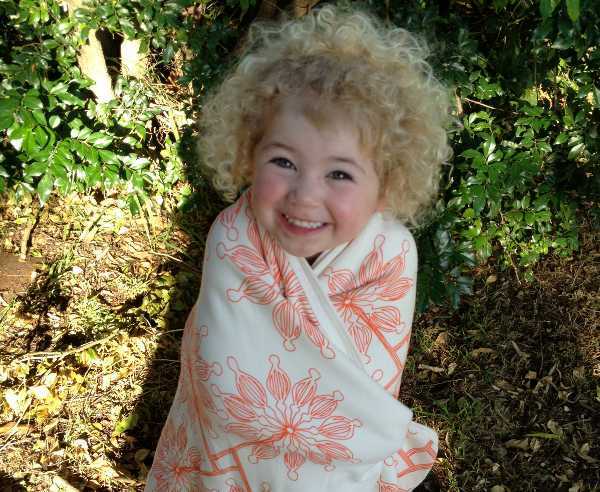 And these subtle but striking organic cotton wraps make the perfect, warming hug for babies. 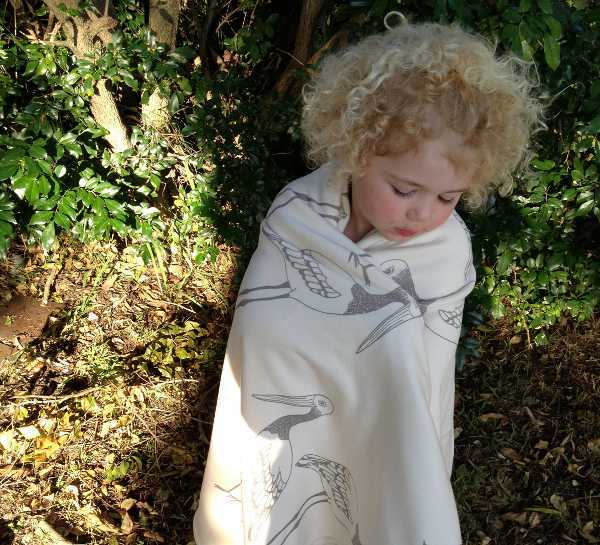 Little Flourishes focuses its unisex designs on Australian native animals and plants. I love how unique the choice of flora and fauna is. There’s the Australian Quail, the Black-Necked Stork, the Queensland Firewheel and Australian Bush Berries. The colours are beautifully muted, but the images are bold and entrancing. Baby wraps are $34.95, small blankets $79.95 and large blankets (perfect for throwing on a small child’s bed) are $119.95. The brand is but a newborn itself, and is currently producing organic wraps, blankets and swaddles. There are plans to soon make bibs, smaller blankets and bloomers. 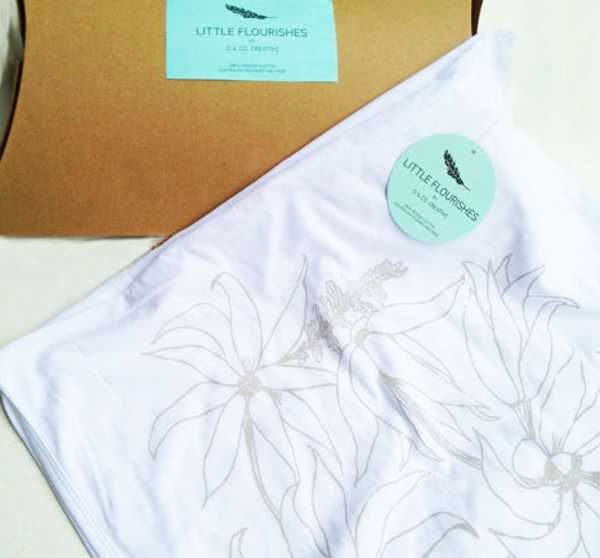 Purchase directly from Little Flourishes.